A Shiplap Home: Wow have I been busy. Wow have I been busy. But my main thought when I lie awake at night is what light fitting will I put there, how many do I need, and where exactly will I put it? I've got a little money to spend each week over and above what we have agreed on for the build, and with that I am selecting the jewellery for the house. Being an Interior Designer it's beyond important to me to include special details. Thinking back to the house's original crystal chandeliers, I had been deliberating just WHERE to put them? There are 2, should I keep them together, split them up? I've decided to lend the dining table some bling and hang them both over that. They should brighten up that leg of the room quite well! Working on from the brass and sparkly idea, I wanted to pull the open plan space that also includes the kitchen and small sitting area into a more casual, tropical, british colonial feel. Doesn't that sound impossible?! Ha! 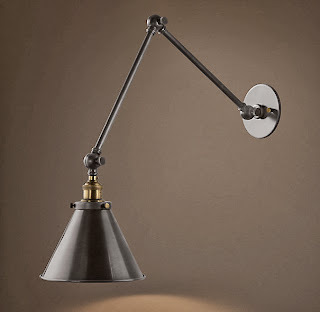 This is the one I've chosen, from Restoration Hardware. And to hang over the small sitting area by the fireplace is something that needs to pack quite a punch. You'll see it as soon as you walk through the front door looking through the foyer. It needs to reflect the overall vibe of the house, and also tie in with the rustic wall lights and sparkly crystal chandeliers. It's perfect! It's open and airy. It's beachy. It has a touch of brass, and a touch of steel to blend with the other fixtures. Oh, and it's STUNNING. 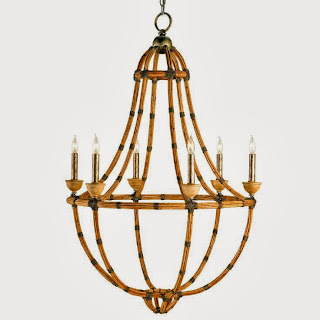 It is called the Palm Beach Chandelier. Right up my alley. Can you tell I don't like downlights?